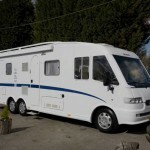 Our first Motorhome was a 2005 Dethleffs i7850 Esprit that had been imported from Spain by the selling dealer in left hand drive form and had a whole range of fitted options. 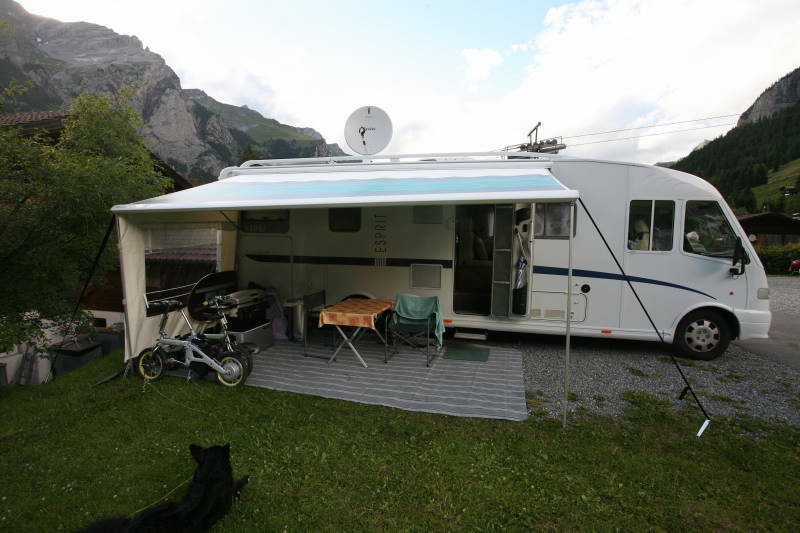 These options included the engine upgrade from 2.3ltr to use the Fiat 2.8ltr engine, (a must) a Tech 29 generator, 6mtr awning, Oyster sat dish with 19 inch LCD TV, 2 x130W solar panels, additional leisure battery, overcab drop down double bed, oven and grill with the 150 ltr fridge/freezer and leather upholstery. 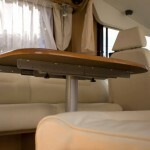 It had both cab aircon and habitation aircon – run by the on-board generator. 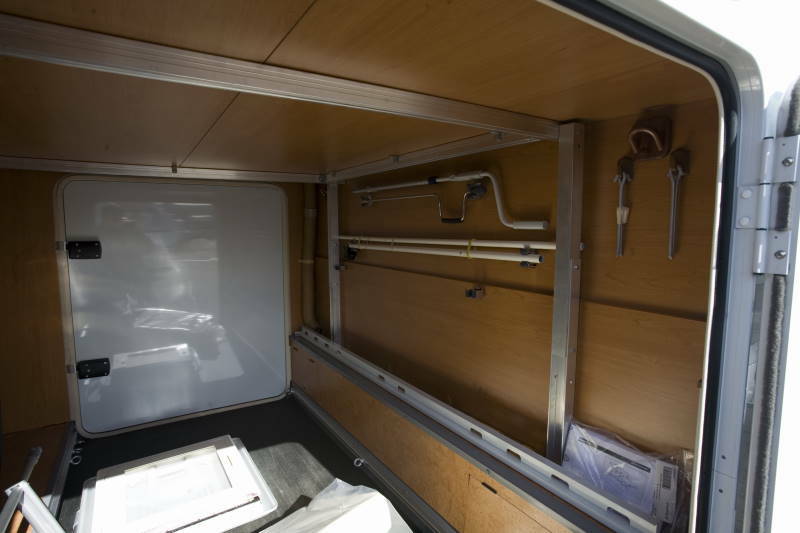 There were a number of minor additions such as rear corner steadies, heat exchanger, radio CD player, reversing camera, rear external ladder, roof rails, concealed safe, tow bar and drivers door and the second optional garage door with luggage restraints. 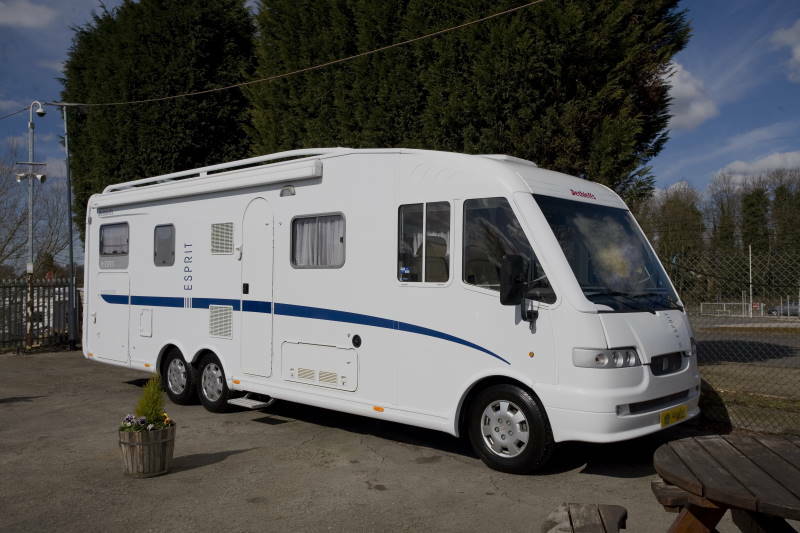 It had an alarm system and Fiamma security locks on all external doors. 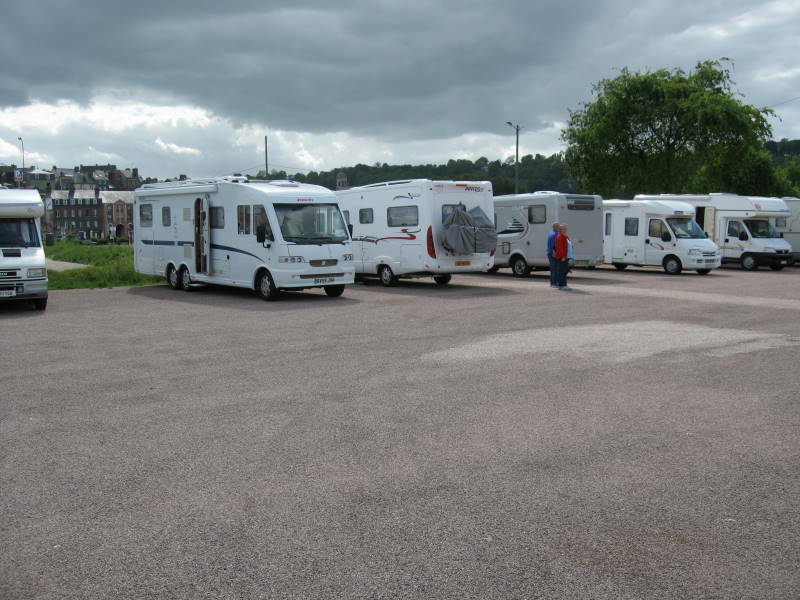 We had spent a number of years with caravans experimenting with layouts and had arrived at our ideal some years earlier so this focused out search at the outset. 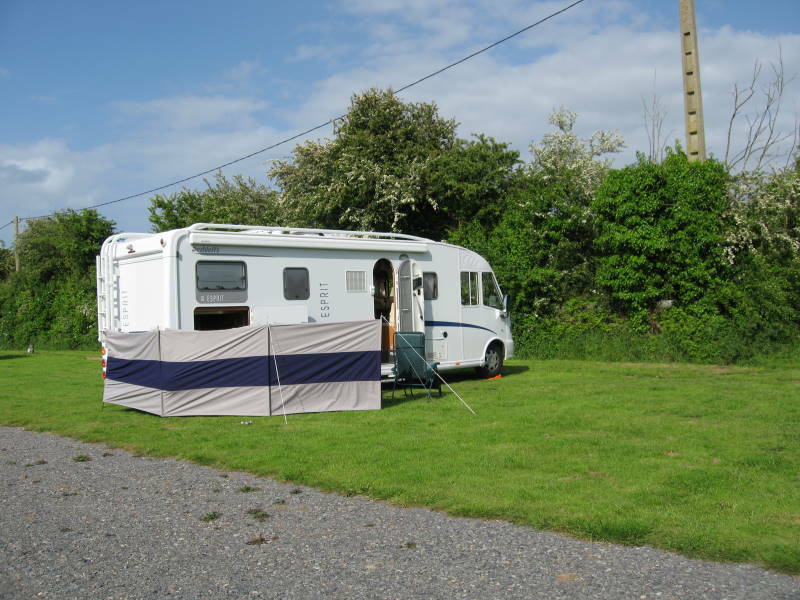 For us the ideal layout involved a fixed rear bed, decent sized shower/washroom with a lounge that we could relax in without having to clear away any beds every morning. We also wanted the option of additional beds in case our family joined us for a few days. The Esprit ticked all the boxes except one. 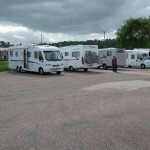 It didn’t have the Alde wet central heating system that we had come to love in our caravans. It did have the Truma Blown Air heating with electric and gas options and a heat exchanger with separate fan controls that kept the habitation area nice and warm when driving along in winter. In theory the adjustable rear bed was a great idea. The ability of raising the bed so you could get bikes etc. 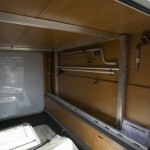 in the garage then at night take the bikes out, lock them to the tow bar and lower the bed to give better headroom. In practice it was too much hassle as it involved removing 8 bolts, adjusting the height, then someone holding the bed in place while you rushed around re-fitting the bolts. We simply adjusted it to the most useful height for us and left it in place. 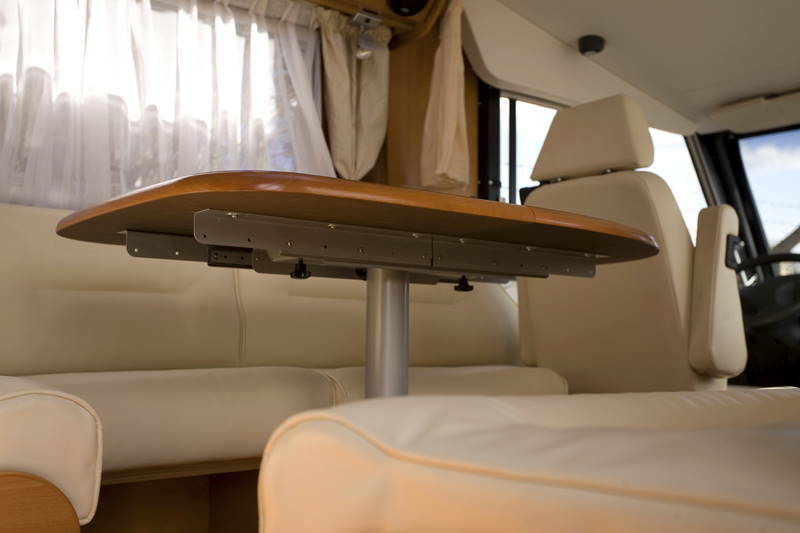 We noticed on later models that Dethleffs fitted an electric motor so you could adjust the bed remotely – much better. 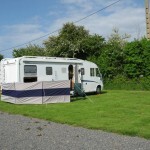 We did think of buying the conversion but other issues prevented this from happening. 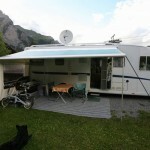 We travelled in our Deffy for around 6 months, completing two European trips and were really happy with it. 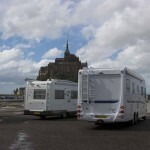 In fact it could have been our near perfect camper van that we could have lived with for years had it not been for one real problem – the overall weight. One day after reading about air suspension (the rear overhang on the Deffy was quite long and the chassis quite low causing us to ground the rear on occasion (saved from injury by the tow bar) we were alerted to a thing called “payload” so before we invested in air suspension decided to find out what payload we had available. Disaster struck. The original Spanish owners did not specify the chassis upgrade yet had fitted all these options that took it over its legal maximum all up weight. No matter what we did we could not shed 472kgs. It was not possible to retrofit the upgrade so became a liability. Fortunately the selling dealer who had assured us that the chassis upgrade had been fitted (the dealer listed the chassis upgrade in the advertisement) reluctantly agreed after some “heavy persuasion” to take it back without loss in exchange for our current Flair. I didn’t know how we would stand but must have had a case as they sold us a vehicle that was overweight in its basic state. 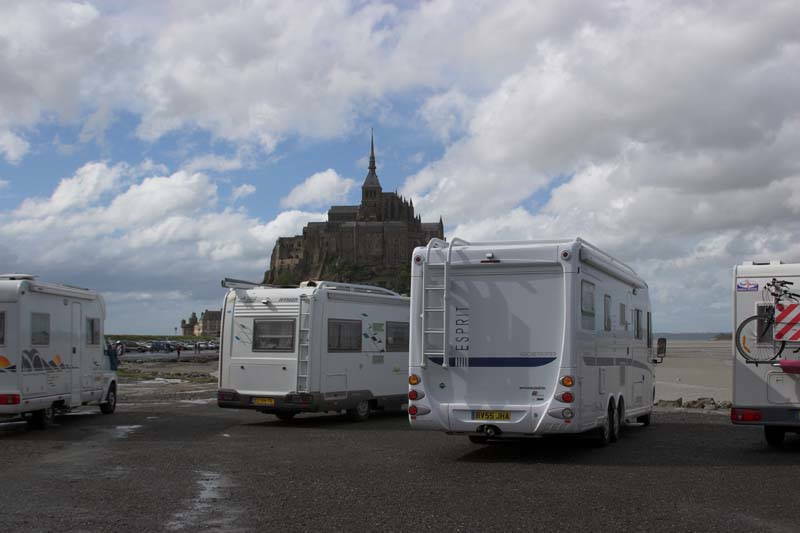 This was a real shame as it was probably the sturdiest built camper van we have ever seen – much better built than the newer model Dethleffs. 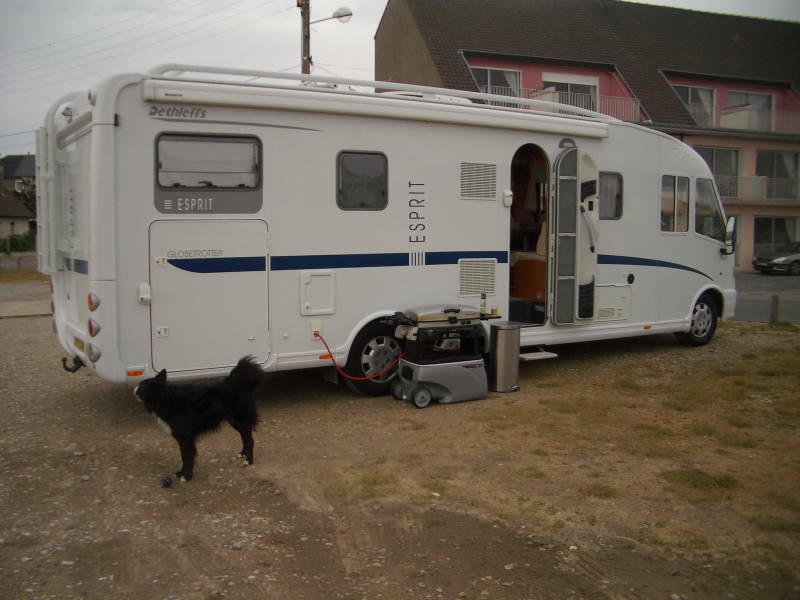 For the record the Dethleffs Esprit i7850 was on an Alko tag axle on the Fiat Ducato chassis. This had a GVWR of 4500kgs in standard trim. The unladen weight without options was around 4100kgs, The optional factory fit only chassis upgrade would have taken the GVWR to 5000kgs. With only 400kgs of available payload without the upgrade and no options we would have struggled to keep within the limit. Even with the upgrade, and all the fitted options and your personal items, food, pots n pans etc. we would have been still been struggling to keep within the limit. 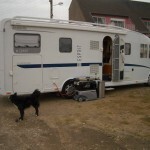 If we had been specifying this Camper Van from new we would have deleted the solar panels, deleted the on board generator, deleted the habitation aircon, deleted the overcab bed and tow bar then added the chassis upgrade and an Efoy unit. This would have lowered the MIRO weight to around 4500kgs or less and with 500kgs to play with would have had a reasonable chance of staying within the limits.